Alden Global/Digital First Media is the hedge fund group vying for the hostile takeover, led by 39-year-old Randall Smith, referred to as the ‘Gordon Gekko of newspapers’. Between 1970 and 2016, the year the American Society of News Editors quit counting, five hundred or so dailies went out of business; the rest cut news coverage, or shrank the paper’s size, or stopped producing a print edition, or did all of that, and it still wasn’t enough. Between January, 2017, and April, 2018, a third of the nation’s largest newspapers, including the Denver Post and the San Jose Mercury News, reported layoffs. The big book that inspired Jill Abramson to become a journalist was David Halberstam’s “The Powers That Be,” from 1979, a history of the rise of the modern, corporate-based media in the middle decades of the twentieth century. Halberstam, who won a Pulitzer Prize in 1964 for his reporting from Vietnam for the New York Times, took up his story more or less where Villard left off. He began with F.D.R. 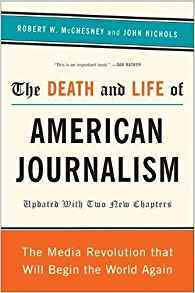 and CBS radio; added the Los Angeles Times, Time Inc., and CBS television; and reached his story’s climax with the Washington Post and the New York Times and the publication of the Pentagon Papers, in 1971. 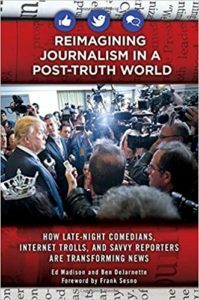 The present crisis, which is nothing less than a derangement of American life, has caused many people in journalism to make decisions they regret, or might yet. 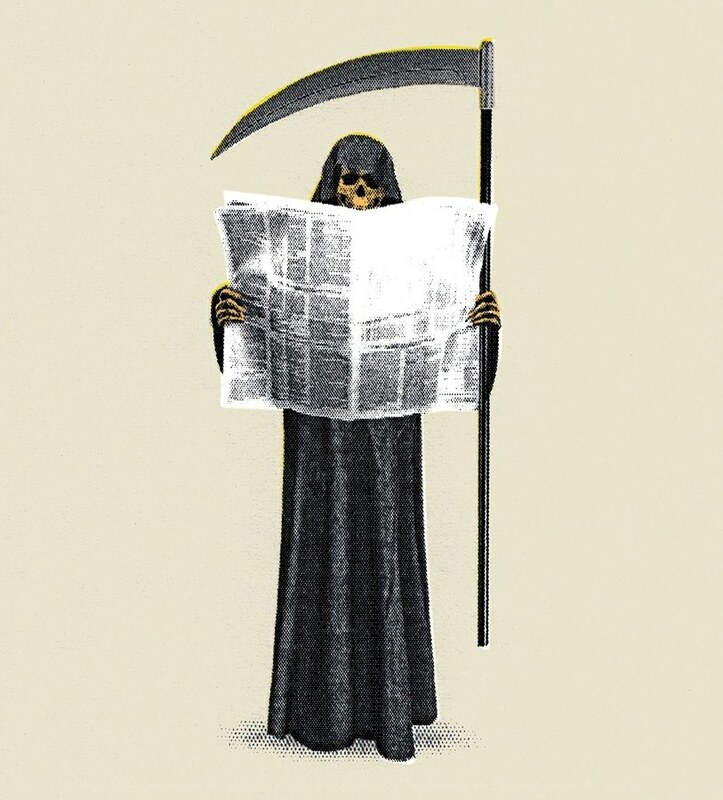 In the age of Facebook, Chartbeat, and DT, legacy news organizations, hardly less than startups, have violated or changed their editorial standards in ways that have contributed to political chaos and epistemological mayhem. Do editors sit in a room on Monday morning, twirl the globe, and decide what stories are most important? Or do they watch DT’s Twitter feed and let him decide? It often feels like the latter. Sometimes what doesn’t kill you doesn’t make you stronger; it makes everyone sick. The more adversarial the press, the more loyal DT’s followers, the more broken American public life. The more desperately the press chases readers, the more our press resembles our politics. This book by Robert W. McChesney and John Nichols (2011) is an important read as pretext to Lapore’s piece. 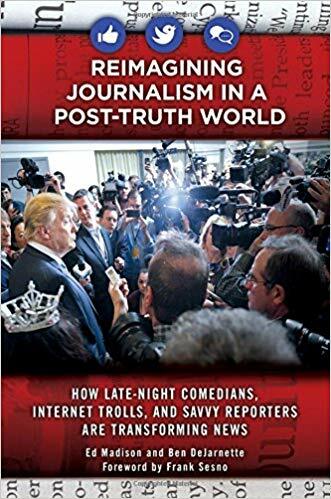 The United States is not experiencing a brief recession for journalism as the silliest commentator continue to suggest; newsrooms will not be repopulated, let along restored to their previous vigor, with an economic recovery. Instead it is an existential crisis, one decades in the making and as we argue heron, it goes directly to the issue of whether this nation can remain a democratic state with liberties and freedoms many take for granted. The crisis is right here, right now and unless there is forceful policy intervention, an unacceptable circumstance will grow dramatically worse. In our view the evidence is overwhelming: If Americans are serious about reversing course and dramatically explained and improving journalism, the only way this can happen is with massive public subsidies. The market is not getting it done, and there is no reason to think it is going to get it done. It will require a huge expansion of the nonprofit news media sector as well. It is imperative to discontinue the practice of regarding journalism as a “business” and evaluating it with business criteria. Instead, embracing the public good nature of journalism is necessary. That is the argument we make in this book. If the U.S. government subsidized journalism today at the same level of GDP that it did in the 1840’s, the government would have to spend in the neighborhood of $30-35 billion annually. Subsidies are as American as maple pie; indeed, our democratic culture was built on them. We met with a group of exceptional journalism students wo had read the book and wanted to talk about our proposals. They especially liked our proposal for a ‘Journalism for America’ initiative that would provide young people with stipends to cover underserved communities in the United States. By the end of the dinner they had framed out a plan for linking the ‘Journalism for America’ initiative to the Peace Corps so that young journalists could cover an immigrant community in the United States for a year and then travel wit the Peace Corps to foreign lands with connections to the American communities. “Fundamentally, journalists and teachers have similar roles within a society. They exist to educate us so we can collectively move our communities forward. Yet crises within K-12 education haunt our society’s future prospects: if we’re not raising generations of young people who are thoughtful and informed participants in our democratic process, then the future of journalism–and democracy–is very dark indeed. The objective is not to spawn future journalists; the intent is to support students with becoming what we refer to as informed thinkers. Educators often speak about cultivating critical thinking, yet the term remains as elusive concept that does not fully encompass the levels of student engagement that young people need to navigate effectively in this increasingly complex and nuanced world. Informed thinking articulates a clearer method and result than does critical thinking. Students learn to distinguish fact from fiction and to detect biases and agendas. 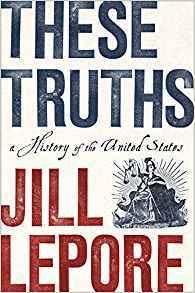 Wonderful book for reference and U.S. history, by Jill Lapore. 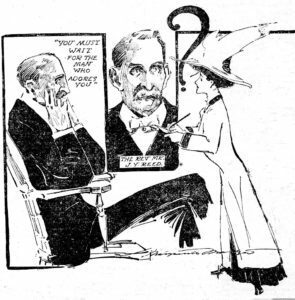 Journalist Marguerite Martyn of the St. Louis Post-Dispatch made this sketch of herself interviewing a Methodist minister in 1908 for his views on marriage.